In 2014, there were 252 billion liters of alcohol purchased around the world1. The alcohol industry is extremely diverse offering endless variety and flavors. 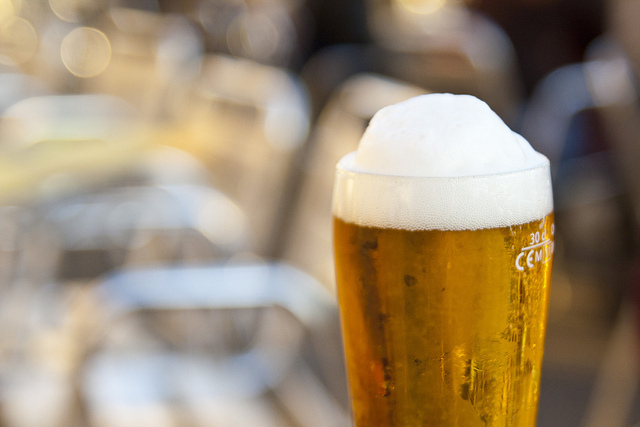 One of the most discussed topics in the past year has been the Anheuser-Busch Inbev (AB Inbev) merger with SABMiller which recently reached terms to the largest deal of its time coming in at a $285 billion merger2. The merger means that the company will be the largest beer distributor in the world as one of every three beers consumed will be from the Anheuser-Busch Inbev and SABmiller Company3. It’s rare for large breweries to acquire their largest competitors. It’s more common that breweries acquire smaller brands to complement their portfolios and expand their reach. With alcohol companies continuing to innovate, it’s no wonder that many beverage companies focus on their supply chain to keep up with trends. One of the many initiatives for AB Inbev to merge with SABMiller was to continue to expand into new world markets4. From providences, states, and countries, the regulations for alcohol vary from the type of alcohol to the amount. Companies face difficultly shipping their products into different geographic areas to meet with local regulations and, at times, dealing with devaluation of the product. Regardless of these challenges, the export of American alcohol to other countries continues to rise. For instance the export of alcohol from the U.S. to Singapore rose 1,332 percent from 2000 to 2014 and for the seventh consecutive year, alcoholic exports have reached over the billion dollar mark5. By partnering with a global logistics provider, beverage companies can form the right relationships, gain experience, and acquire the knowledge that can help alcohol continue to move across borders. Weight of liquids can add up quickly which can make shipping quite an expense. For example, a shipping container filled with 6,430 gallons of wine can weigh nearly 59,000 pounds6. The heaviness of the alcohol paired with its packaging can be costly. Some companies that ship overseas choose to ship over the ocean to save on transportation costs although it adds time. Some companies have looked for additional innovations to their actual modes of transportation to help with the weight. Some dedicated fleet providers offer light-weight equipment to maximize payloads for beverage companies. Many have also begun to invest in natural gas fleets to seek more sustainable alternatives to keep their beverages moving. As alcohol demand varies, it can alter the supply chain process depending on the product. Many companies choose a differentiated supply chain approach. The high volume products can be easily forecasted. For those products, distributors usually choose a dedicated fleet model to continue to keep full truck loads moving to consumers. However, new product sales can be difficult to predict. When it comes to new products, they can either take off and gain momentum rather quickly or take time for the market to react. Either way, supply chains have to be proactive and prepared for all scenarios. If a new product takes off, distributors may choose to start shipping via air to save time and meet demand. The need for innovation is just as high as the demand for actual alcohol. Drinking has become an experience for consumers and many are always looking to try something new. With such an uncertain demand for new products, it helps for companies to involve their supply chain providers early in the planning process. With growing demand, new markets, and new products, having a flexible supply chain will keep the alcohol flowing and consumers in high spirits.